We've known that the "Return to Ivalice" 24-person raid was coming to Final Fantasy XIV. Since the announcement of the folks have been speculating as to what games will be included in that celebration of the Ivalice universe, and to be honest, since the XII remaster was unveiled ages ago, I kind of just assumed it would deal with that aspect of it. But as it turns out based on a recent producer Liveletter presentation, it's going to be Tactics related. 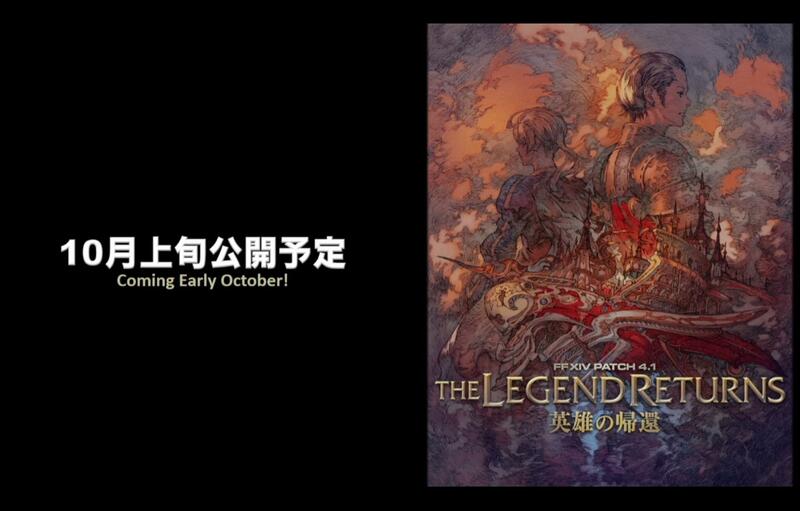 During the stream producer Naoki Yoshida unveiled the key art for the first of three wings, "The Legend Returns," and it prominently showcases Ramza and Delita from Final Fantasy Tactics. Yasumi Matsuno, the "Father of Ivalice," who directed and wrote Tactics, will be writing the scenario for The Legend Returns. All of this will be coming in patch 4.1, which is now confirmed for "early October." For those who are unaware, 24-person raids are a semi-casual element of XIV that involve three parties, eight members in each, that allow you to earn one piece of gear per week (until a later date when the gear lock is removed). Previous 24-person raids have paid homage to a number of games in the series, including a whole trio in the Crystal Palace, and implement various cameos like Ozma from Final Fantasy IX. Now there's a chance that Square could easily use motifs from XII and Vagrant Story in the next two wings. But for now, we can revel in the return of Tactics -- a series that's popped up yet again recently with Ramza's appearance in Dissidia.